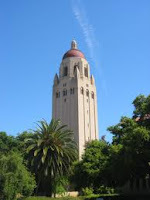 Starting January 11, 2011 I'll be teaching a six week evening course called "Monetizing Marketing Models" (Course Code: BUS213) as part of Stanford University's Continuing Studies program. The course is designed to teach strategic marketing concepts and frameworks that can be used to evaluate the money making potential of a new business idea, whether as a startup, a new venture inside a corporation, or as an investment. We'll be covering product/market fit and exploring different ways to analyze business models. The course assumes no previous experience in marketing. We'll be using Customer Development as the backbone methodology, focusing primarily on the Customer Discovery phase. Our course text will be a great little book called The Entrepreneur's Guide to Customer Development, by Brant Cooper and Patrick Vlaskovits, both of whom will be speaking at the final course session on February 16th. If you're interested, you can register online starting November 29, 2010 at the Stanford Continuing Studies website. Here is the direct link to the course. Any chance of making an online version of the course??? I live in Costa Rica and can't travel to Stanford. Francisco, thanks for your interest and the great suggestion. Unfortunately, it is too late to make changes for this session but I will keep it in mind for future sessions. Call me nuts, but I am considering attending this course and travel from LA every week considering it is only 6 weeks. Is this course no longer being offered at Stanford? BUS213 is still being offered at Stanford but is now called Principles of Product/Market Fit. I offer this once a year in the Fall and, in fact, the Fall14 session just finished on 10/29/14.